Do you need a Conference Organiser? A professional conference organiser, PCO, is primarily responsible for organising conferences for individuals or institutions. Their detailed list of duties make a long list, but some of the main duties include arrangements of the venue and speakers, be a responsible host, carry out all activities in time and much more. The success of the event not only favours the client, but also the organiser as well. People look for organisers through their past experience in organising conferences. Following are the key responsibilities of a PCO. The PCO is responsible for managing the expenses of the event. This includes the management and calculation of taxes, fees, charges and other financial records. The PCO should be able to come up with the exact expenditure cost of the event with all the details in record. This is a very important task that a professional conference organiser takes care of. It includes marketing of the conference to the targeted audience. This can be done through social media, graphics, posters or any other means of marketing that the PCO finds suitable. This is a compulsory task at the end of conference where the people evaluate the success of the conference this year in order to give suggestions on improving the next year’s conference. No matter how perfectly the event was planned, there are going to be problems arising during the conference. However, an experienced PCO knows how to deal with these problems in no time. Inviting and managing hundreds of people is a hectic task. A PCO knows how to handle this audience from the stage of inviting them to the stage of getting reviews from them. A good PCO is expert in communication skills which are crucial for this job. Why should you hire a professional Conference Organiser? The previous section talks about the duties of a professional conference organiser, but if you’re still not sure whether you need one or not, go through the following points. When arranging a conference in Sydney, you are going to interact with different suppliers and organisers. A PCO can help you cut the best deals during the entire process. They have strong links with different suppliers, venue staff etc. Furthermore, they might also have connections at hotels, airports, florists etc. This can help you get all your arrangement done at a cheaper cost. You might be thinking about marketing your conference yourself, but that’s not a good idea since it’s not really your field. A PCO knows the exact tools for the type of conference you’re having. Since it’s their job, PCOs are well aware at estimating based on your audience. Whether it’s the food or time for a certain activity, a PCO can guide you well regarding the expected time it takes. As mentioned before, a PCO takes care of your financial management which can be really hard to handle. Financial management afford no room for a mistake and with all the hustle of other activities, it can be tough to manage this yourself if you’re not an expert in this. With a PCO taking care of all the details of the conference, you can put your time into better use. Before you go and get any conference organiser, there are a set of questions that can help you find the right person for your job. Ask these questions before hiring. Whether he/she will be attending the event too? What are their charges for different services? Does the person have contacts with suppliers and other organisations that you’d have to deal with? Ask about the common problems that arise in conferences and what solutions do they suggest. Use the internet. Go through the profiles of popular Conference organisers Sydney. Ask around. Look for references from people who have had hired a PCO in the past. Evaluate their experience. 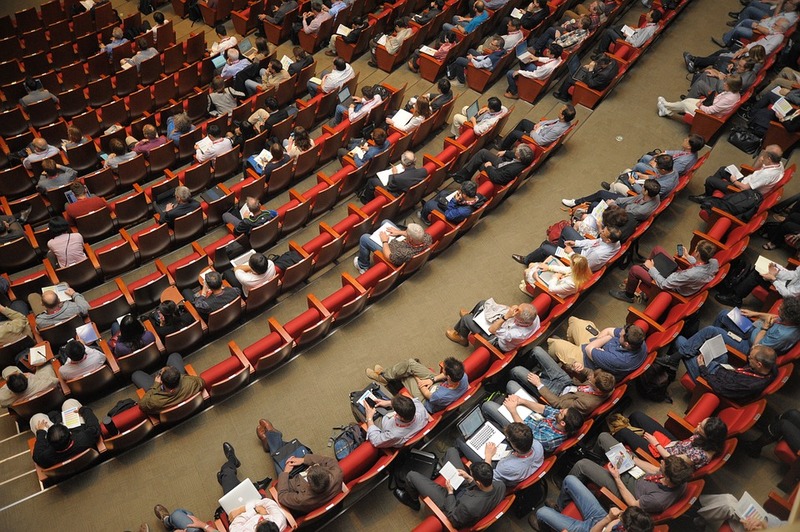 Make sure your organiser is experienced in organising conferences. Notice the professionalism of the person. This can be judged through punctuality, attitude and even appearance.